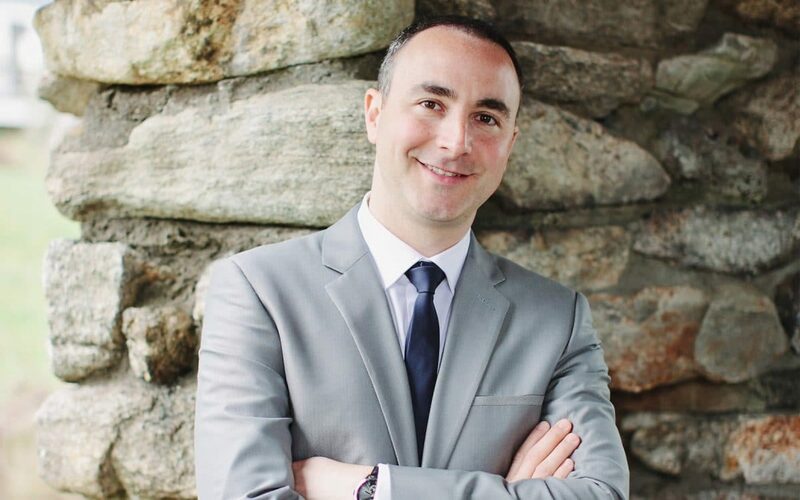 Todd Hoffman (BSBA ’02, MS-DIS ’03) is a self-described chocoholic, which is not something you’d expect from someone who is also a triathlete. Luckily for Hoffman, he can feel less guilty indulging his sweet tooth after working up a sweat with a treat from Chloe’s Fruit, the company he also happens to be CFO of and has helped build since the very early days. “I can go on my run in the morning and have a dark chocolate soft serve fruit topped with a chocolate drizzle and dark chocolate chips in the afternoon, and still feel good about myself,” he laughed. It was on a run with his cousin Michael Sloan that Hoffman was first introduced to the concept of Chloe’s Fruit, the new venture Sloan and co-founder Chloe Epstein were starting. Hoffman was interested in joining the Chloe’s team not just because it was a new opportunity, but also because it was a product and concept that personally resonated with him. Made simply from just fruit, water and a touch of cane sugar, Chloe’s Pops and Chloe’s other soft serve fruit products are a healthy alternative to traditional frozen treats. While the initial concept was to sell Chloe’s products at retail shops, Hoffman and his co-partners quickly realized that expanding into other arenas was the direction they wanted to take the brand. After expanding into food service, Chloe’s pivoted the business once again and made its way into the grocery channel. Chloe’s Pops, available in nine varieties, including strawberry, mango, dark chocolate, blueberry, cold-pressed coffee in partnership with La Colombe, raspberry, pomegranate, pineapple and tangerine, are now available in over 10,000 grocery stores across the nation, including #1 retailer, Publix. While Chloe’s has seen success in selling its products at grocery stores, Hoffman acknowledges the struggle in making it happen. “How do you get consumers to try your product?” Hoffman said of one of the company’s challenges. “You have two seconds to help consumers make a decision when they are standing in front of the freezer at the store. You either have to tell them about your product before they go to the store, or you have to get their attention in those two seconds. Hoffman credits Chloe’s success with having both attributes as well as its ability to be nimble. 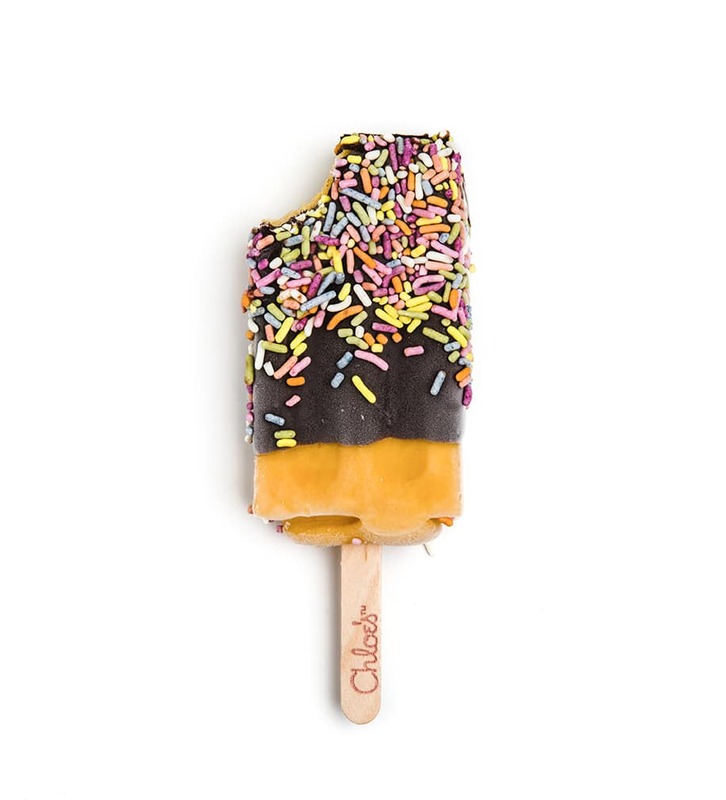 Consumers have done just that, so much so that Chloe’s has been able to expand its product line to include new pop varieties like blueberry, cold-pressed coffee featuring the coffee from La Colombe Coffee Roasters, and a new line of dark chocolate dipped pops launching early 2019. Chloe’s continued growth has also given the company another big win, a top 10 spot on the 2018 Gator 100 list, which honors the 100 fastest-growing Gator-owned or Gator-led businesses in the world. Hoffman notes that his partners, Epstein and Sloan, are the reason he’s made it through the startup highs and lows. Hoffman’s final thoughts about Chloe’s end on a high note. “I hope everyone that reads this goes out and buys a Chloe’s Pop!” he laughed. To find a retailer that carries Chloe’s Pops, head to the Chloe’s website at www.chloesfruit.com/where-to-buy.